This is the cover of my upcoming release. The longhorn beadwork was done by my Great-Grandmother: Kwawennawi (Mohawk Nation). The cover design by my good friend Ed Beals. 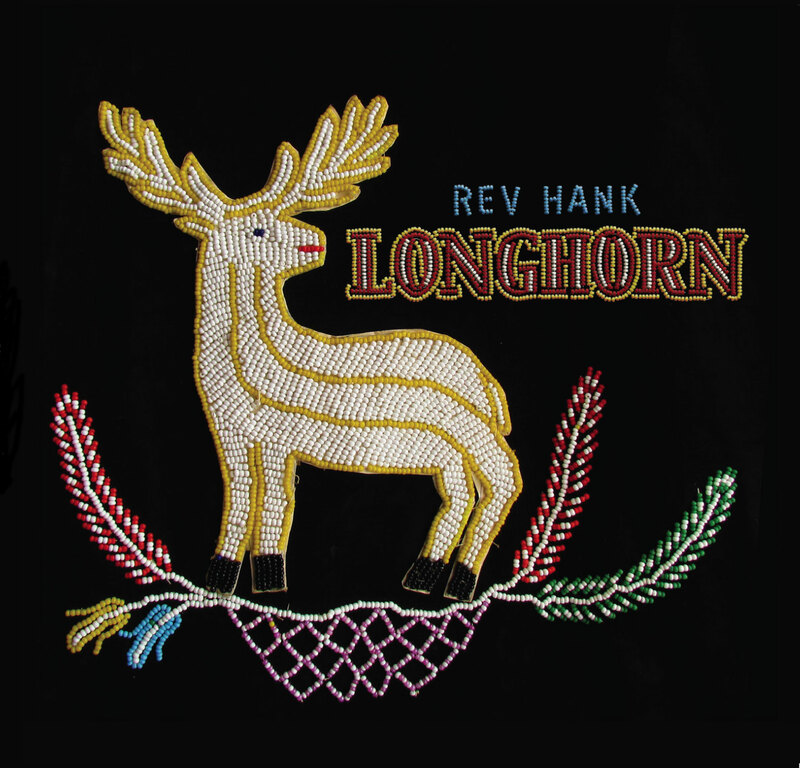 The Longhorn CD/digital download is finally mixed & mastered, and the artwork is all but done. The debut instro-guitar release from Rev Hank (Urban Surf Kings) should be available sometime in April. 12 selections of Surf, Twang & Roll. Electric PowWow…stay tuned! PS: April’s Twang of the Month (Reverb Ranch site) will feature a track from the release. Surf’s Up in Hubbards on Saturday, March 10! Join us for dinner and dancing with The Urban Surf Kings. Enjoy Surf Cocktails (Shark Attack, Surf Goddess, Bikini Belini, Get High Mai Tai) and Gourmet Burgers, along with our regular menu. Summer is…just around the corner and we’re stepping back into the 60’s for Surf Night at the Trellis!